This week I've got two hardware makers which is just a bit of a smaller update after uploading 80+ Capcom ads the previous Saturday. Although I've not written too much, both are interesting as one had a unique product for the time and the other has impressively been making controllers for more than 30 years. 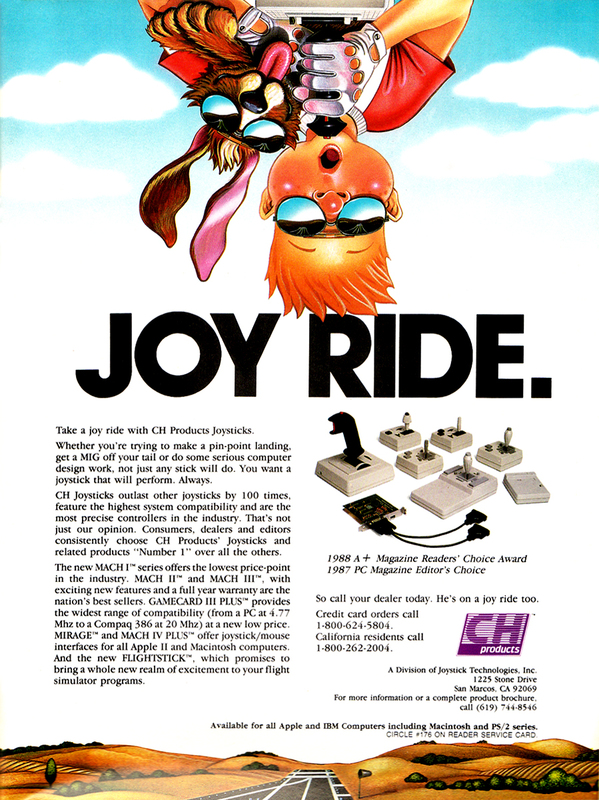 Catapult Entertainment was a company located in Cupertino, California that is known for one product: the XBAND Video Game Modem. Distributed by THQ, XBAND (actual spelling has the "A" upside down) was released for the Sega Genesis in 1994 and the Super Nintendo Entertainment System the following year. The modem uses the console's cartridge slot with a supported game cartridge being plugged into the top of the modem. Subscriptions for online play cost $7.95/month or $39.75 for six months. It's a unique product for the time period and I'll discuss it in more detail at a later date as I do own one and played one of Electronic Arts' NHL Hockey games on it. 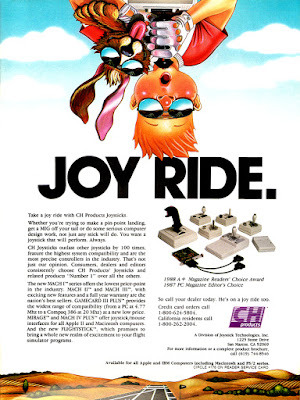 CH Products is a California-based company that began producing computer game controllers in the 1980s and continues to do so today. For computers CH specializes in precision controllers for flight simulation games and design software. It also makes joysticks for use in real-world applications, such as construction vehicles and video security cameras.